EXO has shared more details of their upcoming comeback with new title track “Tempo”! 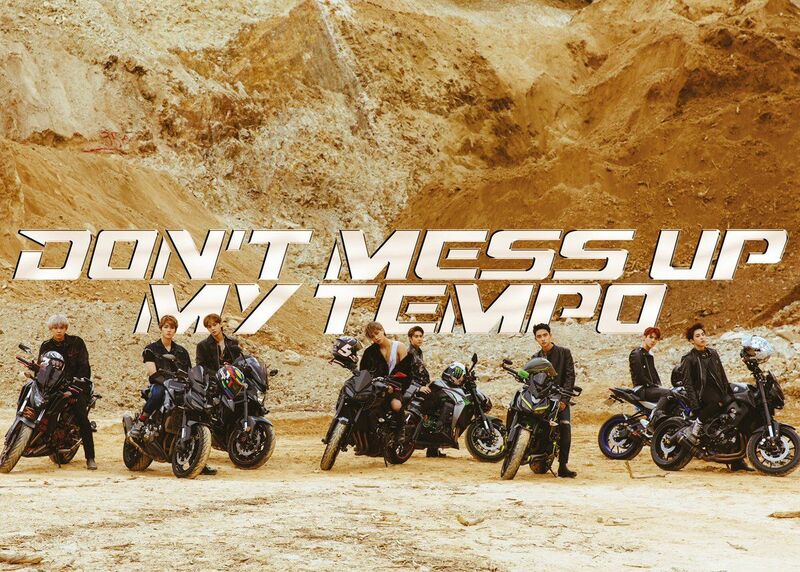 The group will be releasing their fifth studio album “Don’t Mess Up My Tempo” on November 2, and the album will be available on online music sites such as Melon, Genie, iTunes, Apple Music, Spotify, and Xiami Music. “Don’t Mess Up My Tempo” will showcase EXO’s musical versatility with a total of 11 tracks, including a Korean and Chinese version of the title “Tempo.” The other nine tracks will be inspired by each EXO member’s super power of fire, teleportation, strength, light, ice, wind, lightning, healing, and water. The title track “Tempo” is set to be a hip hop dance track with an energetic bass line and a rhythmical drum beat that also highlights EXO’s vocals through moments of a cappella. The lyrics reflect a man’s love for his woman as he compares her to a melody and warns people not to mess up her tempo. Anticipation is rising as EXO released a concert film and poster on October 22 to tease the release. The album will be released on November 2.